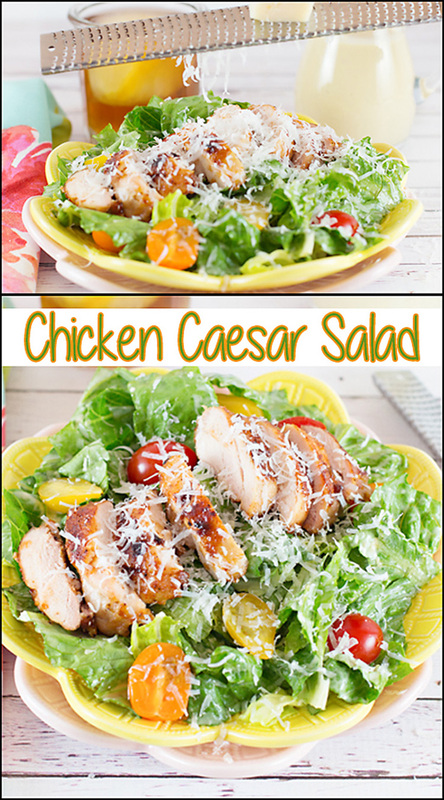 Tender grilled chicken, lightly coated with a little BBQ sauce, tops my go-go Caesar Salad for the perfect light meal. 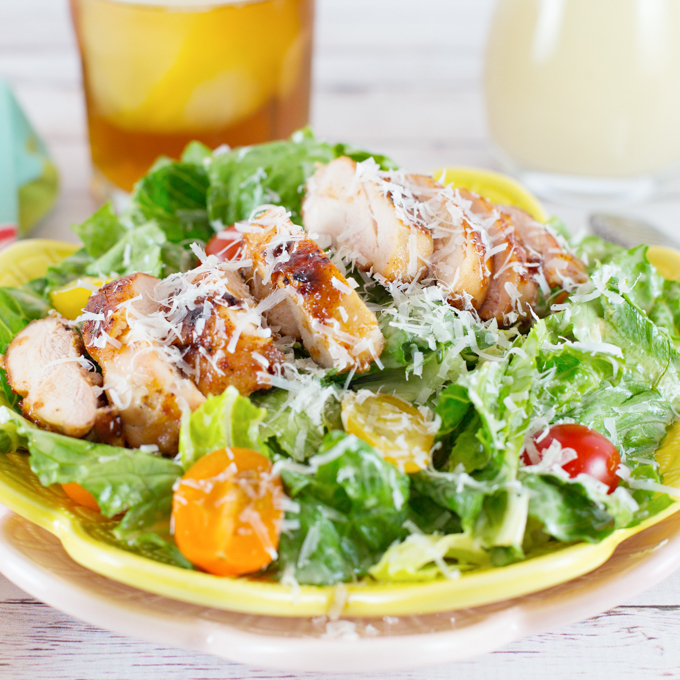 Caesar Salad is pretty much a staple at our table. 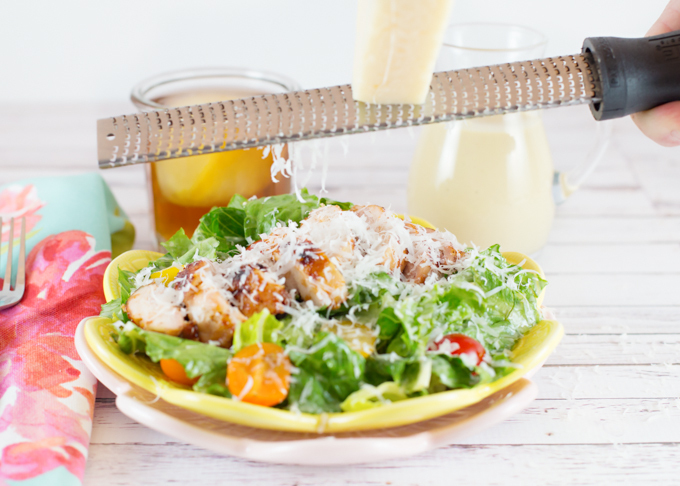 We love the garlicky, zesty, creamy dressing over a bed of crispy romaine, topped with a generous portion of freshly grated parmesan cheese. 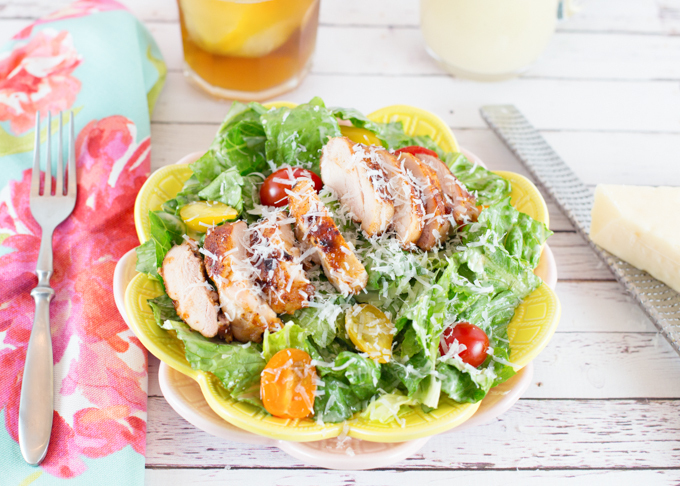 This past weekend, we enjoyed this Chicken Caesar Salad for a delicious lunch. You might be thinking that Caesar Salads are typically served with croutons, and you’d be right. Unfortunately, I left them sitting on the counter and didn’t realize it until I was eating the salad. I think with the addition of the grilled chicken and fresh cherry tomatoes, I didn’t miss them. That is, until I was eating the salad. Oh well, these Homemade Croutons will certainly be topping my next Chicken Caesar Salad. Plate it up, then top your salad with plenty of freshly grated parmesan cheese. There really is no comparison using freshly grated vs. cheese from a plastic tub. Fresh sliced avocado are also a nice addition. Or how about grilled salmon instead of chicken? In food processor, add anchovy and garlic and blend till smooth. Add egg yolks and blend again. Add in vinegar, balsamic, dijon, worcestershire sauce, salt, and lime juice. Blend. With motor running stream in olive oil till thick and well blended. Add chopped romaine to bowl. Toss with dressing (as much or as little as you like). 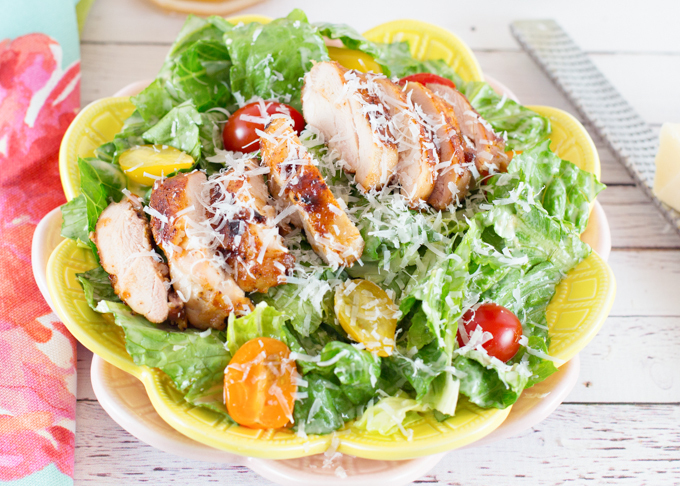 Plate dressed romaine and topped with cherry tomatoes and sliced grilled chicken. Top with croutons and freshly grated parmesan cheese. 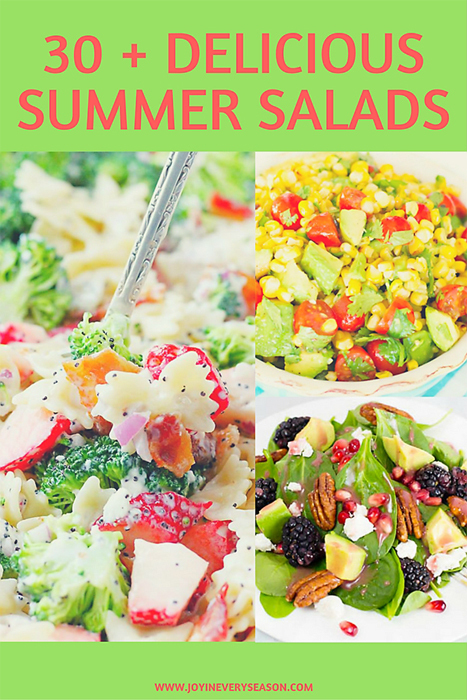 Looking for more delicious salads, make sure and check out this round-up of 30+ Delicious Summer Salads!! I love caesar salads! This looks wonderful! And salmon sounds good with it too! There’s nothing like a classic caesar salad – with or without croutons. I eat them without myself! 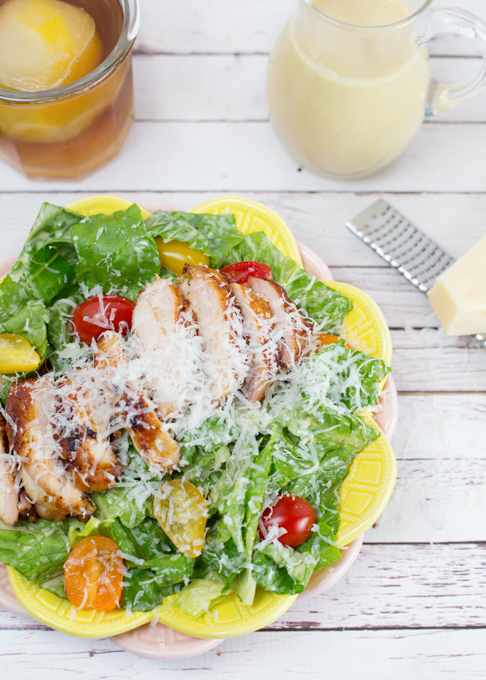 Your Caesar salad dressing looks fantastic! !